Friday, February 8, 2018 – 6:30 to 10 p.m.
"Setting the Table for Good Design"
The Indiana Design Center presents a luxury home design event in partnership withSophisticated Living to celebrate the best in design and benefit the Art Therapy Program at Riley Hospital for Children. The Friday evening event, "Setting the Table for Good Design", will kick off the weekend and be a ticketed cocktail party to unveil tabletop displays by leading Indiana interior designers and tastemakers. 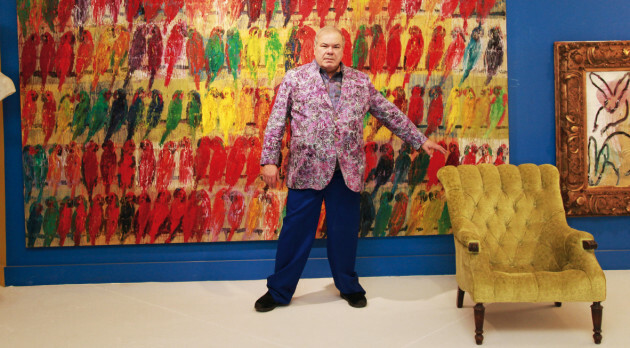 The special guest speaker is renowned artist Hunt Slonem, who will discuss his artwork, creative process and passion for design and collecting. A portion of ticket sales will benefit the Riley Children’s Foundation and support the Art Therapy program. Books will be available for purchase at the event or bring your own.